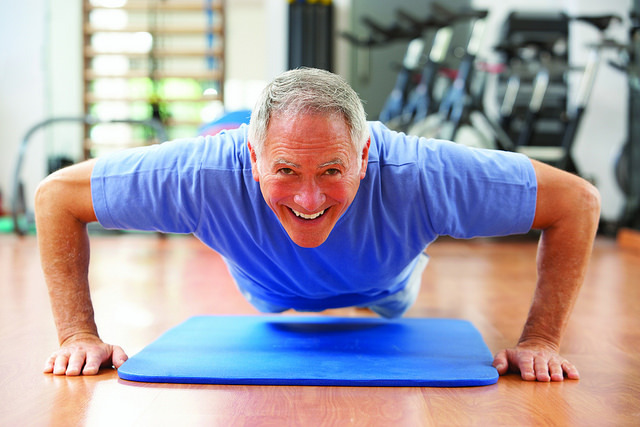 Home » Blog » Embrace Men’s Health Month in June by Taking Charge! Embrace Men’s Health Month in June by Taking Charge! June is Men’s Health Month, and there are a few alarming facts everyone should be aware of, whether it’s to optimize their own health or to take better care of their loved ones. Depression is higher in men than women in both young and elderly age groups, and is under-diagnosed. Because of this, men are also more likely to commit suicide when their health is not properly managed. At Heart Spring Health, Dr. Jason Wells, Naturopathic Doctor and Licensed Acupuncturist, helps men understand their unique biochemical fingerprint and how their individual hormone and inflammatory imbalance contributes to unnecessary mental and physical suffering. He motivates them to prevent disease so they age successfully. By the time men reach 100 years of age, women outnumber men almost 5 to 1. The factors that influence the more drastic aging and disease processes in men are modifiable with proper medical care from a men’s health physician. For instance, testosterone levels in men can decline at a pre-mature age due to unmanaged stress, poor diet, harsh drugs, and environmental toxin exposure. Optimal amounts of testosterone are needed to reduce inflammation, support maintenance of muscle mass, and maintain heart and brain function. Other signs of poor physical and mental function: fatigue, depression, low libido, lack of motivation, decreased exercise performance, inability to lose fat or build muscle, and more. Moreover, increased rates of depression and suicide can be addressed by maintaining better physical health. Optimized testosterone levels are significantly associated with increased motivation, improved mood and prevention of the cognitive decline, such as that seen in severe depression and Alzheimer’s disease. Join a gym and treat yourself to a series of personal training sessions. The majority of calories you burn in a day come from your resting metabolic rate, not from the amount of exercise you do. Strength training and developing muscle mass is more effective for weight loss than aerobic exercise, such as running or biking. There are numerous other health benefits to maintaining good strength. Spend time outside. Even short doses of nature have measurable impacts on your hormones, vital signs, and ability to manage stress. These are all key to longevity. Finally, make an appointment with a Men’s Health Naturopathic Physician who understands what makes men’s health unique and motivates men to stay on top of their health. Dr. Jason Wells is a Naturopathic Physician and Licensed Acupuncturist at Heart Spring Health in Portland, Oregon. He helps men understand their unique biochemistry, optimize their hormones and regulate inflammation to prevent illness and promote optimal performance and successful aging. This entry was posted in Men's Health, Naturopathic Physicians and tagged acupuncture portland, natural medicine clinic, Naturopathic Medicine Portland, naturopathic physician, portland natural medicine, portland naturopath, portland naturopathic clinic.